Matt Shatzkin began as adjunct faculty in 2018. To date, he has taught TL 723, Advanced Supply Chain Planning and TL 729, Adaptive Planning in Logistics Systems. He has been a U.S. Army logistics practitioner for 27 years, achieving the rank of Colonel and earning his Ph.D. in transportation and logistics from North Dakota State University. He is the author of the book, "Understanding the Complexity of Emergency Supply Chains." He has planned and executed supply chains in support of three no-notice contingencies: Operation Iraqi Freedom 1.5 in 2003, Joint Task Force Katrina in 2005, and Operation Unified Response in 2010. Recently, he led an Army War College Integrated Research Project for the Army G4 on the Army's ability to effectively implement lessons learned from supporting expeditionary maneuver. He has published several articles for Military Review and Army Sustainment Magazine, along with videos and commentary on his Warrior Logistician Facebook page. 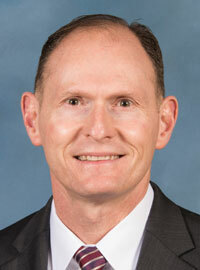 He is a guest contributor to the "Supply Chain Matters" blog. He has taught several classes on supply chain management for the U.S. Army War College and presented research findings at several forums, to include the Army Leader Exchange (ALx), Army Operations Research Symposium (AORS) and the National Defense University. Research lead, Effectively implementing lessons learned on supporting expeditionary maneuver, a U.S. Army War College Integrated Research Project in Support of the Army G4, April 2018. Author, "Understanding the Complexity of Emergency Supply Chains", published by Business Expert Press, April 2017.